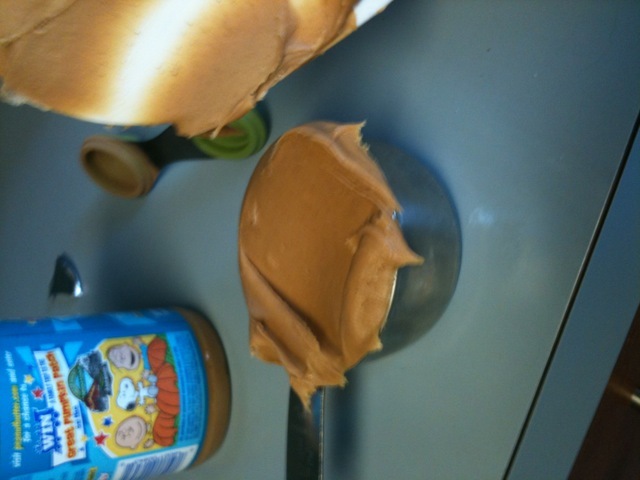 Don’t add too much extra peanut butter because it won’t set correctly. Drop by spoonfuls onto wax paper and let it set. Depending on the size of the cookies, it makes between 30-40 cookies. I discovered a new website that analyzes recipes and tells you what the calories are! It’s so cool! 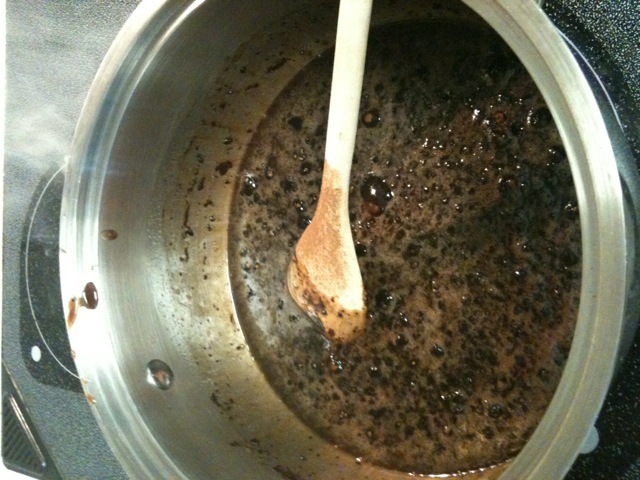 Check it out here: Recipe Analysis. 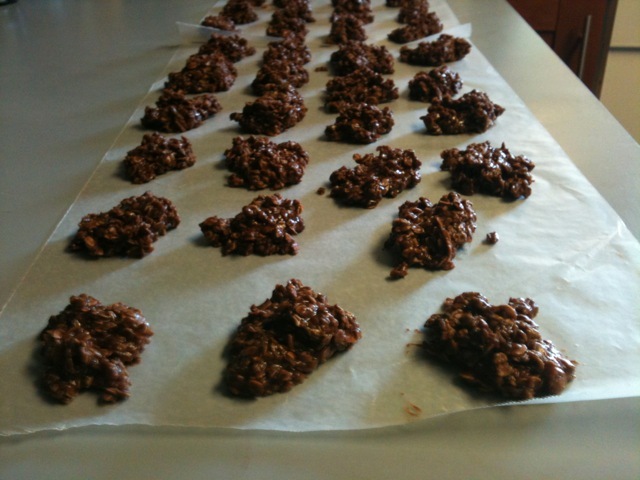 According to both the Recipe Analysis and a general google search, the No Bake Cookies are about 115 calories each cookie. I have a family reunion this weekend and decided to make my favorites: the No Bake Cookies. They are the perfect crowdpleaser as well as super easy. 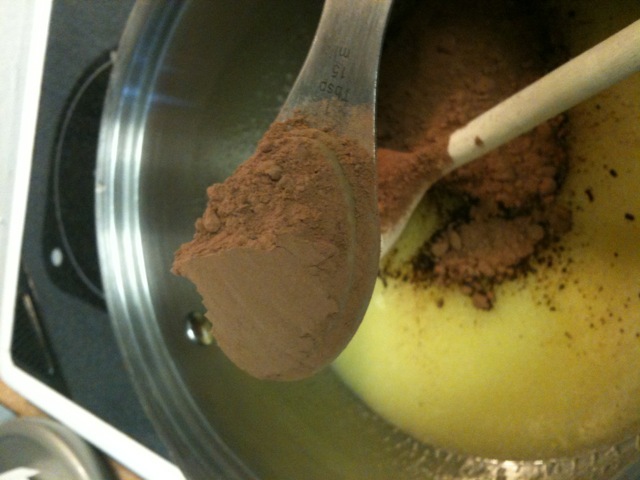 There are very few ingredients and they are things I always have on hand. I used to bake A LOT. It was one of my hobbies in fact, and I loved doing it. When I started getting healthy, the baking hobby went bye-bye; mostly because I did not trust myself to have treats in the house, and also because I am a TASTER when I bake. I got all the ingredients out beforehand. Which was a good idea because our kitchen and pantry is in shambles! 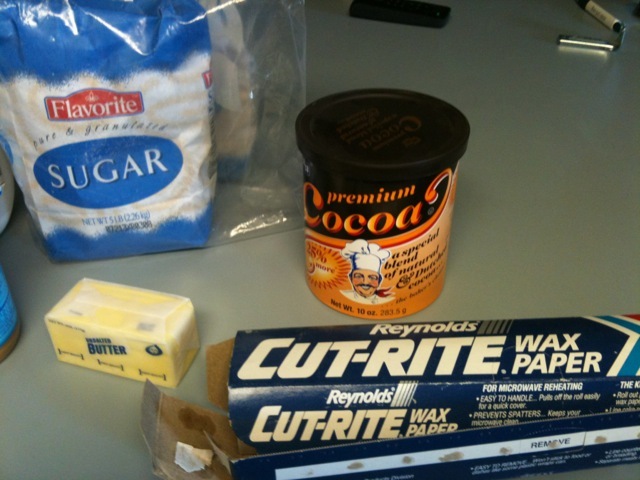 It took me awhile to find the wax paper, for example. I made a slight variation this time I made it. 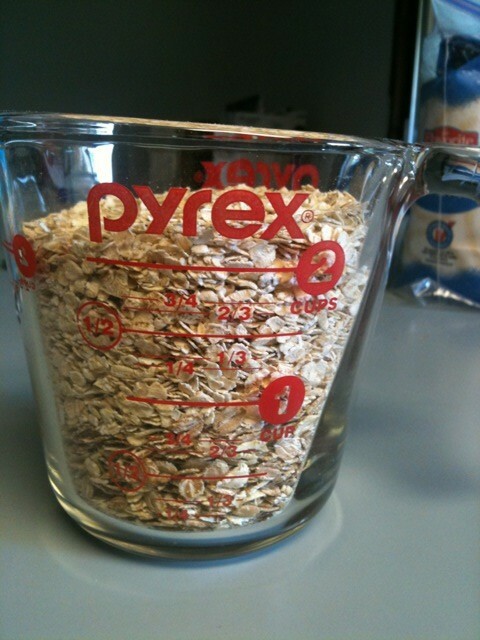 I used 2 cups of the regular oats I usually use, and 1 cup of the Scottish Oats. I think it will add a different texture to the cookies. But I’m getting ahead of myself. 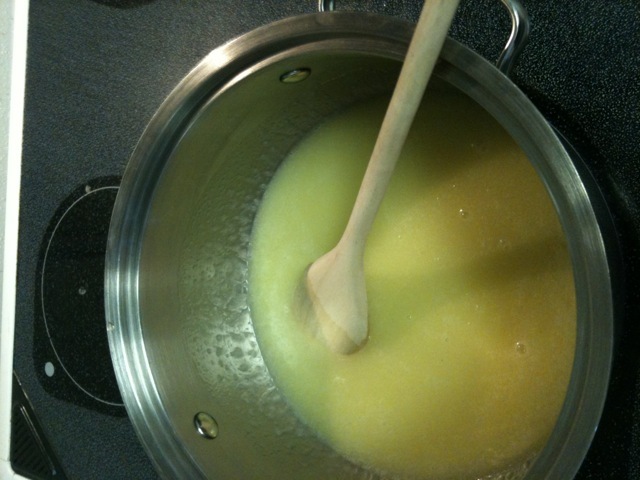 Follow the first part of the recipe and melt the butter. 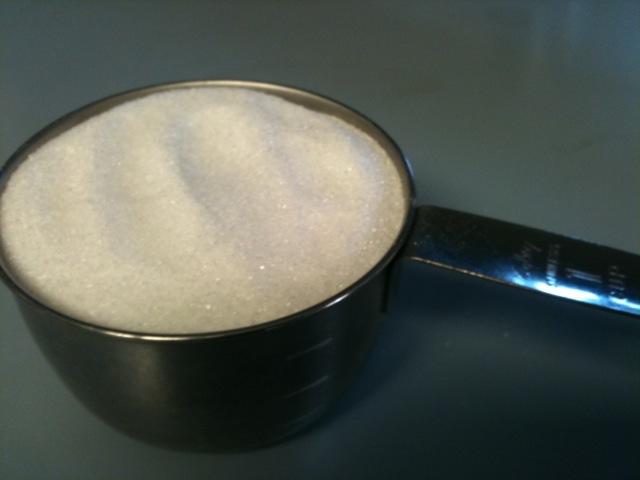 Be sure to let the sugar dissolve completely or the cookies will be grainy. 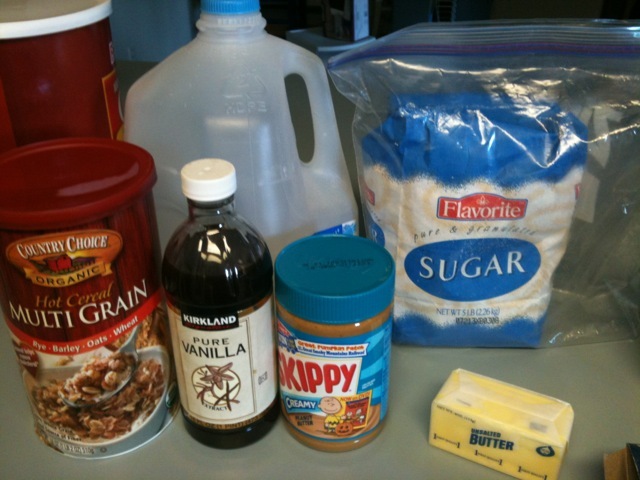 After the first stage, you must quickly add the peanut butter, oats and vanilla quickly and mix well before it sets. I let the cookies set for a few hours. Enjoy! 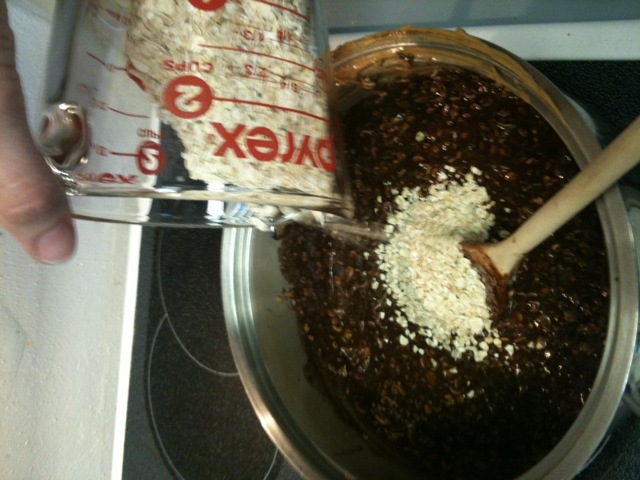 QUESTION: Have you ever made No Bake Cookies before? Any variations out there? What a smart recipe! It’s so simple and quick! My family will love this. Thanks for sharing. Love, love, love no bakes! I just discovered them a couple years ago. Great for this time of year when it’s sometimes too hot to turn on the oven. Exactly! I wanted to make cookies but when it’s 100 degrees out, I’m not turning on the oven! oooooh! M&M’s! What a great idea! nooo bakes are dangerous ;). 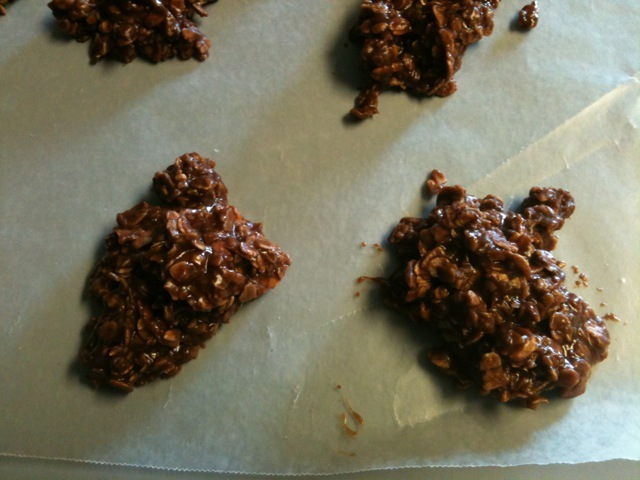 This looks almost exactly like the no-bake cookies my brother would make growing up. They are addictively delicious! I’m gonna try these with Stevia and see how they taste. Maybe with almond butter too, just to be a rebel. I would love an update on the Stevia and almond butter! I had a bag of Splenda but wasn’t feeling brave enough to try it instead of sugar.